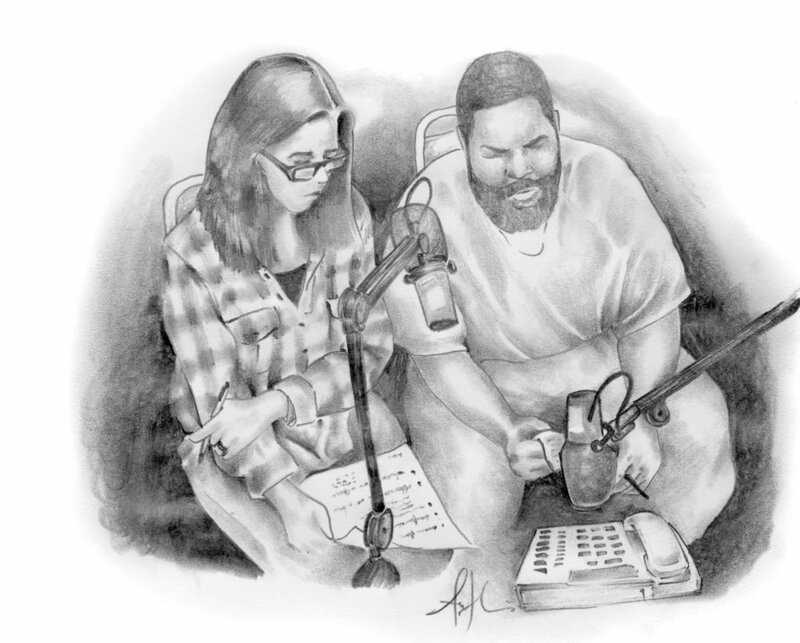 The Ear Hustle team works in the San Francisco Bay Area, both in San Quentin State Prison’s media lab and from offices on the outside, to produce stories that are sometimes difficult, often funny and always honest. Episodes offer a nuanced view of people involved with the American prison system and those reintegrating into society after serving time. Ear Hustle won Radiotopia's Podquest contest in 2016, beating out more than 1,500 international entries. Since then, the podcast has received a number of awards, including a 2018 Third Coast/Richard H. Driehaus Foundation Competition award for the episode “Dirty Water”; the 2018 and 2019 Webby Award for Podcasts and Digital Audio in the Documentary category; the 2019 Webby People's Voice Award for Documentary Podcast; the 2019 iHeartRadio Podcast Award for Best Social Impact; and the 2019 SPJ NorCal James Madison Freedom of Information Award for Audio Journalism. The show was also a Peabody Award nominee in 2017 and 2018. Ear Hustle is a proud member of PRX’s Radiotopia, a curated network of extraordinary, cutting-edge podcasts. Ear Hustle's distinct sound design is a team effort, from Pat Mesiti-Miller (Producer and Sound Design Support), inmates Antwan Williams and David Jassy, and others working in the media lab. Ear Hustle is supported by: Radiotopia's Julie Shapiro (Executive Producer), Curtis Fox (Senior Producer), Rahsaan “New York” Thomas (Producer), Bruce Wallace (Producer), John “Yahya” Johnson (Producer) and Erin Wade (Digital Producer).